The Colony At White Pine Canyon is one of North America's finest ski communities. Gated and private, the Colony offers estate style lots that are no smaller than 5 acres- all with ski access via the Canyons. The size of lots provide privacy and allow for construction of both a guest house and primary home. Home sites vary in their feel and their appeal depends upon individuals tastes. Some lots have a meadow setting, surrounded by towering aspens and pines, others may be located high on a ridge with commanding views of surrounding mountains. 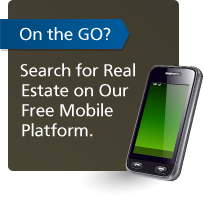 Call us to help you locate your dream home or home site in the Colony. Quickly & easily gather all the info you need about Colony At White Pine Canyon. Our FREE Park City & Deer Valley Real Estate Concierge is at your service! Call toll free 1-800-485-0218 or use our Live Chat for instant answers to your resort real estate questions.